Julie’s content on INFLUENCER’S is light-years ahead but it lacked visual impact and consistency across her platforms. Julie wanted her visual look updated to match her personal style and her disruptive message. Edgy, bold, street meets corporate. 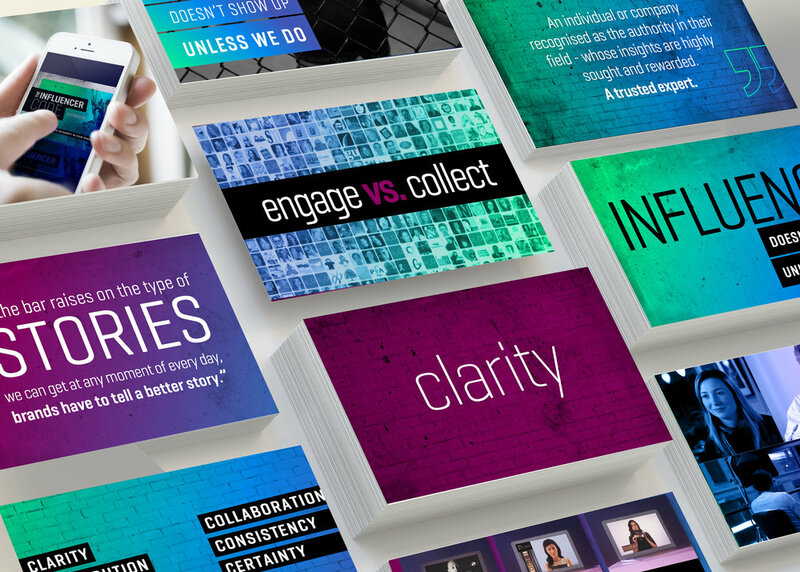 Super clean keynotes slides with bold graphics that capture your attention, hold engagement and leaves you wanting more. We crafted a visual language that allowed Julie to be proud to stand in front of it.